Embark on an adventure deep into the jungle in this five-reel, three-row video slot developed by NetEnt. With expanding symbols, free spins and a Butterfly Boost feature, there’s plenty lurking behind the reels in this lush landscape. The jungle is calling but before you play, be sure to read our review that guides you through the features of the game. 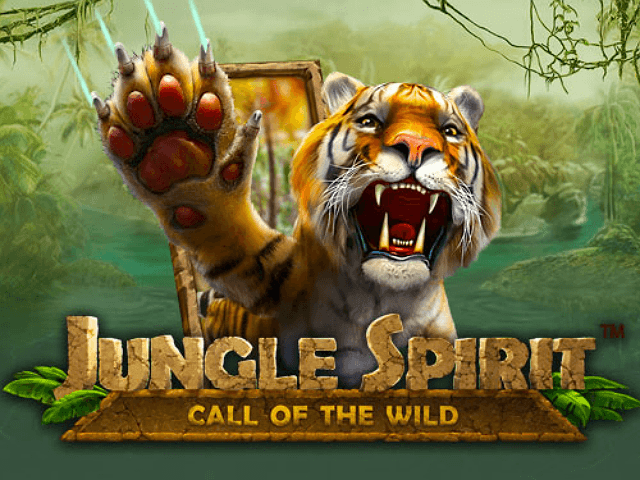 Play Jungle Spirit: Call of the Wild Slot Demo for Free! Play Jungle Spirit: Call of the Wild for Real Money! 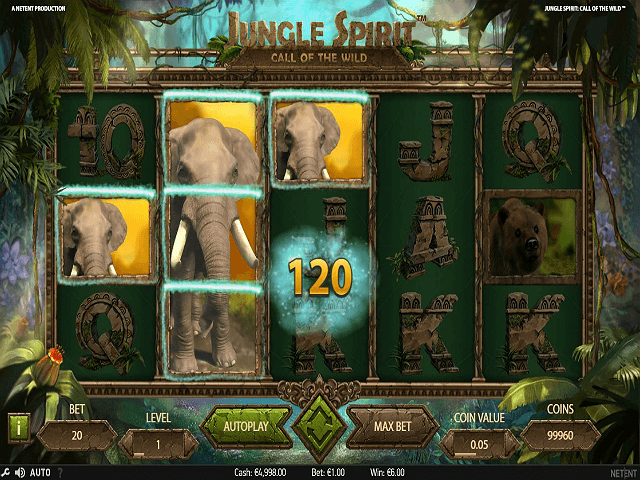 Visually, Jungle Spirit: Call of the Wild slot game lives up to NetEnt’s high standards. The reels are set against a moving, 3D background where butterflies dance and trees sway gently. The beating of drums and sounds of nature can be heard in the distance, although you do have the choice of which audio you have on during the game, a feature that isn’t offered by many slots. On the reels, there are five card ranks from ten to ace plus five animals presented in impressive, lifelike detail. The animals are, as you’d expect, the higher-value icons, with the tiger being the most lucrative. Five of the striped cats pays out 150 coins, while five elephants pays out 100. 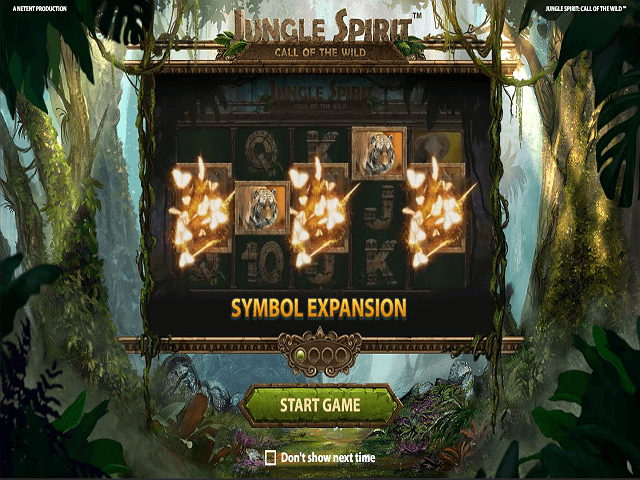 The Jungle Spirit: Call of the Wild online slot adopts the 243 ways to win format rather than paylines. 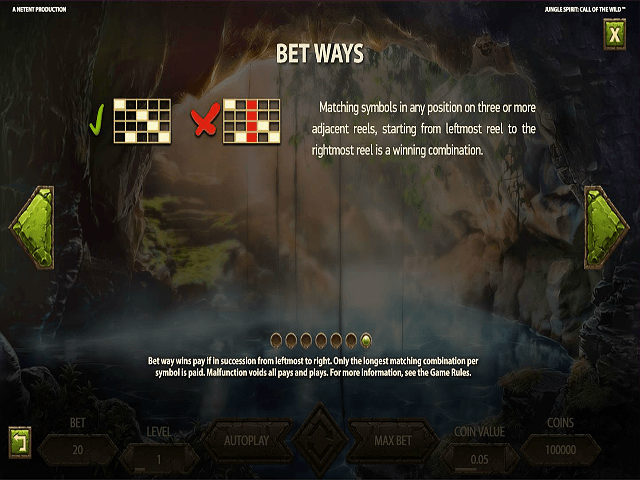 This means all you have to do to win is land three or more matching symbols on adjacent reels from left to right. You can bet between 20p and £100 per spin with five bet levels to pick from and coin values between 0.01 and 1. You need to keep your eyes peeled when in the jungle, and it’s no different here. The first feature to look out for is Symbol Expansion. Any avatar apart from the scatter can be randomly marked by butterflies during the base game and free spins round, and if these then form part of a winning combination they expand to fill the entire reel. Butterflies are supposed to indicate good luck and they certainly bring you great fortune in this online slot. The Butterfly Bonus feature is similar to Symbol Expansion and is triggered randomly during the main game. Butterflies flutter around the reels and expand between one and three emblems that form part of a winning combination, meaning those icons take up the whole reel. Clearly, the idea is that the jungle residents with the higher value give you fewer spins because they offer bigger potential wins, so which option you choose depends on what type of slot player you are. 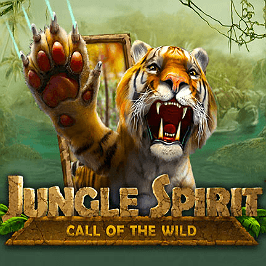 Overall, Jungle Spirit: Call of the Wild is another fine slot from NetEnt with top-notch graphics and features. Share this Jungle Spirit: Call of the Wild Review today! If you like Jungle Spirit: Call of the Wild, you'll love these slot titles too!